Activities in Ushuaia can be done all year, always in contact with the natural environment and the amazing landscapes around the province. On board of a catamaran you’ll get to know Sea Lions, Birds Islands and the Les Éclaireurs Lighthouse with an optional walk on Bridges Island, the Penguin Rockery and Harberton Ranch. The End of the World Train is a griping journey to enjoy fascinating landscapes and go back to the enigmatic story of the inmates who once made that trip. Tierra del Fuego National Park is located 12 Km from Ushuaia. 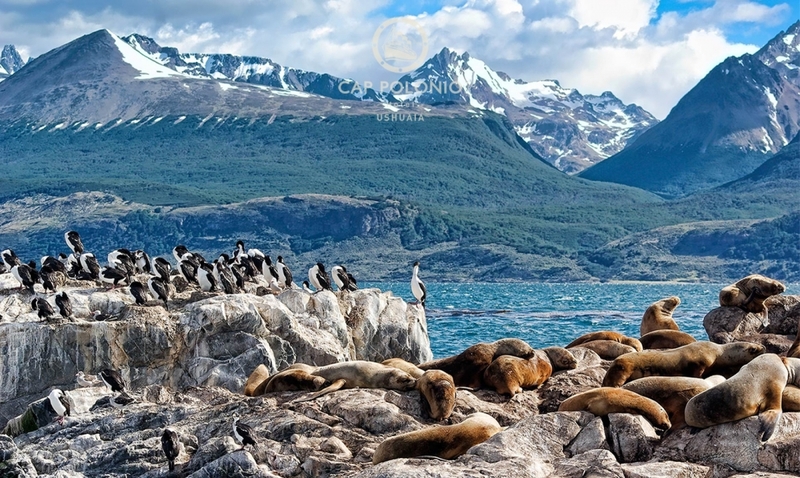 The park offers different landscapes and It’s the only in Argentina combining marine, wood and mountain environments. You can observe rivers, waterfalls, peatbogs and different species of fauna. For hiking lovers, there are different options with trails from easy to strenuous difficulties that are perfectly marked. Ensenada Bay, Acigami Lake and Lapataia Bay are the most popular ones. The reserve is located 7 Km from town and it is a place where you can practice winter sports such as alpine ski, snowboard and sledding. 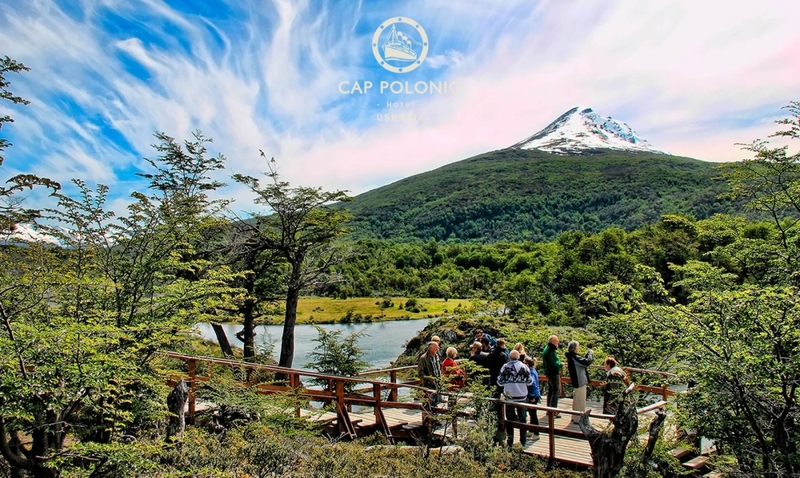 During summer, you can do Canopy and trekking through trails that lead to an outlook with a panoramic view of Ushuaia. It is located 200 Km from Ushuaia. It is the second city in Tierra del Fuego Province where you can find museums, historical monuments, and a natural reserve and nearby ranches. 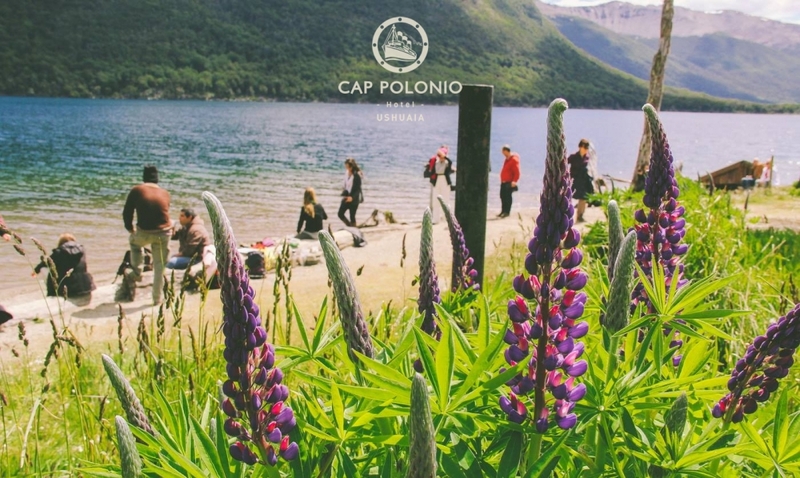 It is located 103 Km from Ushuaia, a place that offers different outdoors options at any moment of the year. Fishing on lakes and rivers, horseback riding and trekking activities that will allow you to enjoy nature at its most. 60 Km away from the city, on the way to Tolhuin, you’ll come across Escondido Lake placed in Los Andes cordillera. Later on, at the foot of Garibaldi’s crossing, one of the largest lakes in the world shows up: Fagnano Lake.